Brace yourself, summer is coming – unless you live in Ireland, then slightly warmer weather with lots of rain is coming. And summer means traveling! Maybe some of you will even visit Hong Kong. Maybe for the first time or maybe it will be another trip to my lovely second-home. It’s pretty much quite easy to get around the city, but why not make your life even more easy? We walk around with our smartphones, we take pictures with our smartphone, we Yelp the restaurants we want to try, so let’s use it in our advantage and save us some trouble. 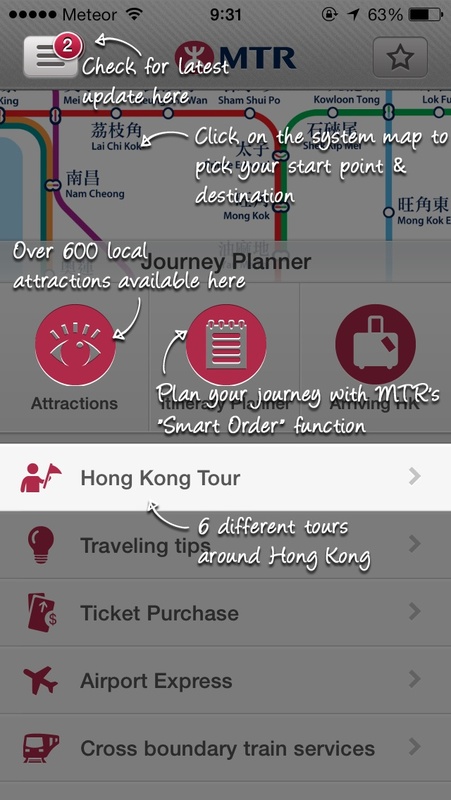 With the apps we chose, we hope that your trip will be troubleless and you can enjoy Hong Kong at its finest! I’ve mentioned this app before and I mention it now. THIS IS A MUST HAVE if you don’t want to be a YouTube star and known as ‘That foreigner who peed/shat his pants’. Hot and humid weather, food you might not tried before and then it hits you. And for some reason a shopping mall that was right around the corner is not there anymore. Disappeared. It’s now only you, your rebellious stomach and possibly no toilet. But don’t worry – this app, that also comes in English, will save your day. It will show you nearest public toilets. I know when the stress level gets high, we might not notice the obvious places and the pressure you have from that won’t help you with that little surprise that bothers you. I wasn’t really sure if it works but one of my dear Readers read about it in my old post and decided to use it during the trip to Hong Kong, and guess what? IT REALLY WORKS. Although I don’t know if it’s constantly updated, but trust me – that’s not a situation when you just want to randomly wander around the city hoping to find a toilet. PS As far as I know all subway stations have toilets, you just need to go to that small window and ask someone for the key. Once your tummy is fine, it’s time to go back to eating! Hong Kong is such a multicultural place, no wonder is it said to be ‘Asia’s World City‘. You can eat there anything, unless you want to eat Polish food – then it might be more problematic, but when it goes to major types of cuisine or local food, you would probably have to spend most of your life just eating to discover all the places. And that’s why you need OpenRice – basically it’s like Yelp, you can chose English and all the reviews showing up on your phone will be in English too. If you don’t know Hong Kong that well, option ‘nearby’ can save you some times. If you have any specific place or even a dish in your mind, you can look that up too. We personally just go to a random place, but if we cannot decide what we want to eat then the app might be helpful – just look what’s around and make up your mind. I’ve seen a lot of people complaining why Ocean Park or other place is closed due to weather conditions. They say they spend so much time and money on the ticket and they cannot have fun, but that’s the reality of Hong Kong. There are typhoons, there’s the hot weather warning, rain alarms etc. and this is why you should get that completely free app that will give you current weather, forecast up to 9 days, will inform you about any dangerous situations like typhoons show up (don’t worry, the really strong one happen only on weekends or at night so Li Ka-shing can earn his money). At some point some of the tourist’s spots can be shut down so at least you won’t waste your time and money to go there, be disappointed, then get wet and have even more problems coming back home. 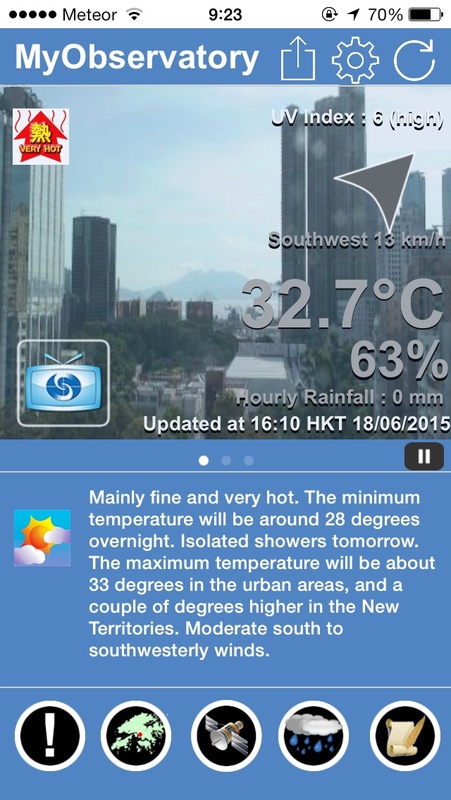 This app is basically a Hong Kong guidebook in your phone. Biggest problem I have when I travel to Hong Kong is I have too little time and too much to see. I was lucky enough first time I went there, my trip lasted few months. Last year we only went for 10 days and it was impossible to see what I haven’t seen before, try what I haven’t experienced before (like the afternoon tea at Ritz-Carlton) and to straighten my hair in Tuen Mun (I will add a review of the hairdresser I always visit). The app will help you to sort what is a must-see in Hong Kong, how to get there, see videos or photos of the place so you can decide if you want to see thing A or spend more time looking at B. You can virtually visit the biggest tourist attractions. 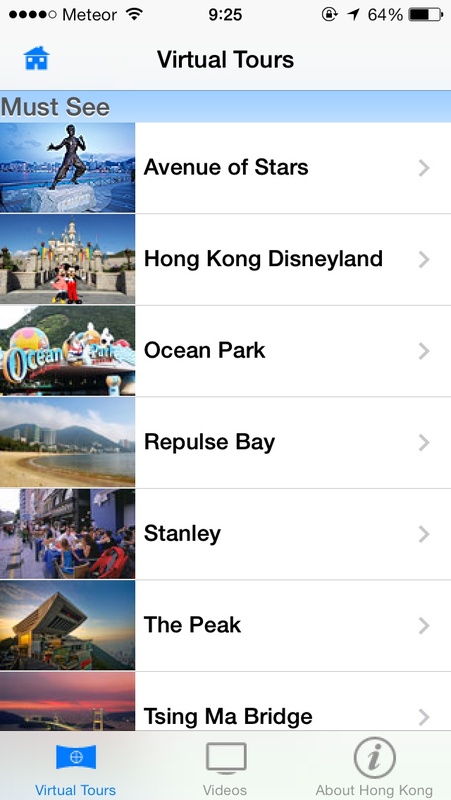 The whole app was made by Hong Kong Tourism Board so it’s pretty good and it has pretty good ratings. 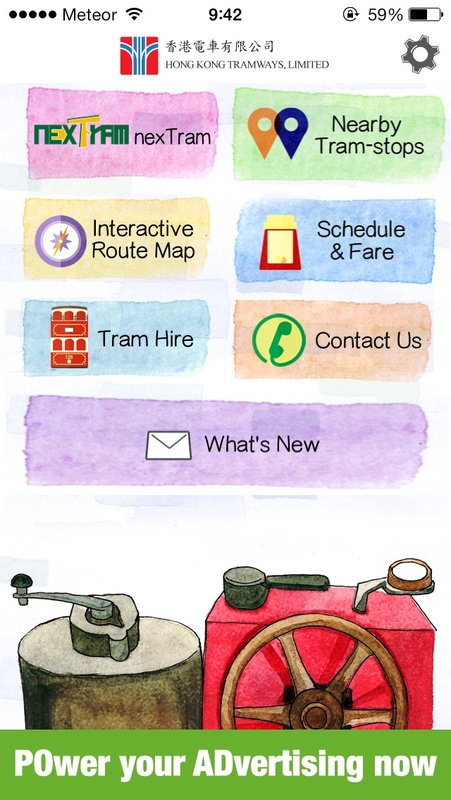 If you’re first time in Hong Kong, I think that’s the best tourism app you can get. I kid you not – I think Hong Kong has one of the best public transports in the world. Subways, buses, double-decker trams, ferries – you name it, they have it. And it’s relatively cheap – I think buses are the most expensive because you pay the price until the last station, doesn’t matter you only want to take two or three stations, you still have to pay the full price so for us going from Tuen Mun it was quite expensive. Trams and ferries are the cheapest and let’s face it – most fun. 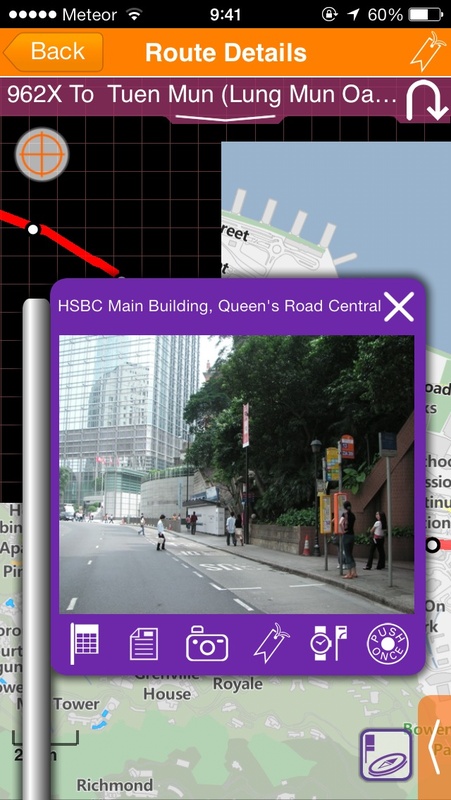 At first the public transport might be scary, but not anymore with those three apps. All together they will make your journey faster, moving around will be more efficient therefore you will have more time to enjoy Hong Kong instead of crying that you got lost. I got lost walking to AhMeow Cat Cafe but there was a handsome superhero who noticed I walked around and showed me the right way. Hope he has a nice wife and good fortune in life. After that really awkward confession I have to say that you should get those apps because Google Maps can be tricky, recently we ended up on someone’s farm instead of in McDonald’s, but the apps are official apps by MTR, Citybus and HKT so they should be pretty updated. Not to mention some of the apps can show you the fare you have to pay so you can make a choice which transport you want to use. Did I mention that the Citybus app has street view photos of the bus stations – how cool is that? You will know which station you passed! 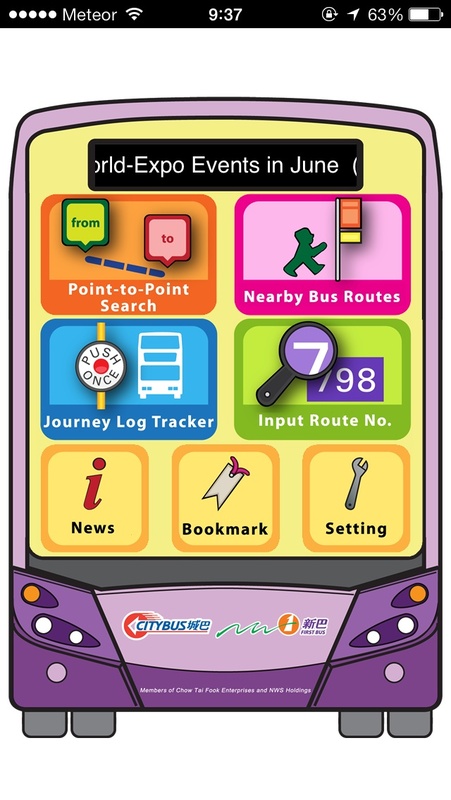 There’s one more app I want to mention, but it’s paid (~8HKD) so I haven’t tried it myself but I heard it’s a must have if you prefer to take taxis over public transport. The app is called Hong Kong Taxi Translator and it should help you to get around the city – I only took a cab in Hong Kong twice and non of them spoke English, but I had Sing to take care of this so it wasn’t a problem, but for someone who uses it on daily basis it can be really useful. Now I can tell Sing that him and me learning Cantonese saved us 8HKD. 2 HKD more and back in 2012 we could get a bag of small fried crabs after 9PM in Jusco in TMT Plaza. I’m sorry that the apps are only for iPhone, but I will make another post with apps for Android – once I can use Sing’s phone. We get the best of both world, like Hannah Montana. Wow. 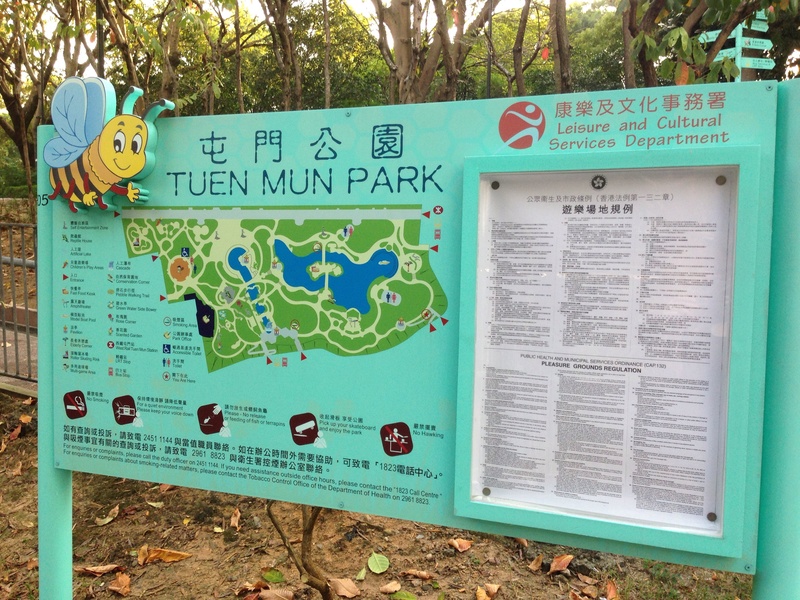 Sing is from Tuen Mun? I’m also living in Tuen Mun, that’s actually my 962X bus stop! What a small world! awesome, I be going to Hong Kong agan in July till August, this will be useful for me. Thanks and have a wonderful day, my friend. 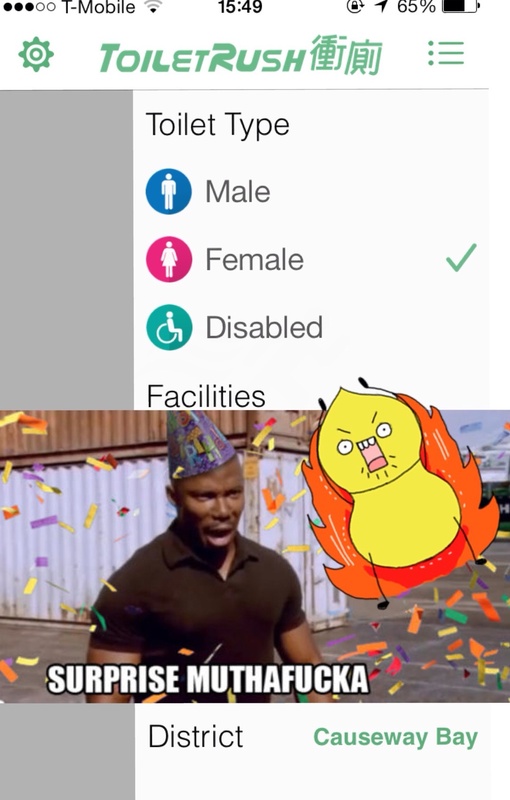 I never thought if getting a toilet app but that’s actually a really good idea!! Though I’ve never really been sick abroad either, I’m super careful about eating what I know will suit me for sure! Oh yes, I forgot the language barrier – yikes! When travelling Eastern Europe and desperately looking for a toilet, we thought of such an app. Now somebody else made it. I wonder if this one has a rating function like “ours”. feel free to share the name of the app 😀 sounds cool! It does not exist, we only made it up. But if it did exist it would be called TANTIBAN (“There are no toilets in Bratislava at night”). I just came back from HK last night. It’s definitely a lot easier to find toilets (e.g. in malls) there than in NYC, for example. 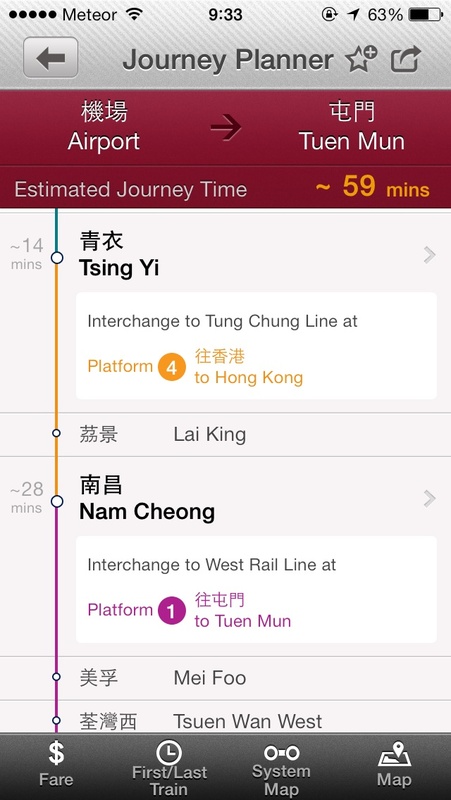 I think places other than HK need a Toilet Rush App. What a great idea. Wow I didn’t know about Toilet Rush. Brilliant! I just installed it on my phone. Great!! thanks for sharing. i think the first app is the best recommendation, as a lot of us travel and for us travelers nothing is more important that knowing a proper toilet facility is nearby and available. Too funny that there’s actually a toilet app! I used #3, #4, and #5 a lot during my month in Hong Kong. Didn’t know about #1. Oh wait, joke about #1 vs #2. Which I will forego … aiiii-yaaah. Reblogged this on nota perjalanan. most welcome, I visited HK on 2003 and 2004 but just have access to Octopus card. How about an app for “where to buy headphones,” for inevitably someone is going to be on the phone on the bus/MTR. Do you recall the “quiet cars” on the ride up to Luo Hu? What a joke! Going to HK soon. Downloaded the apps. Thank you! !